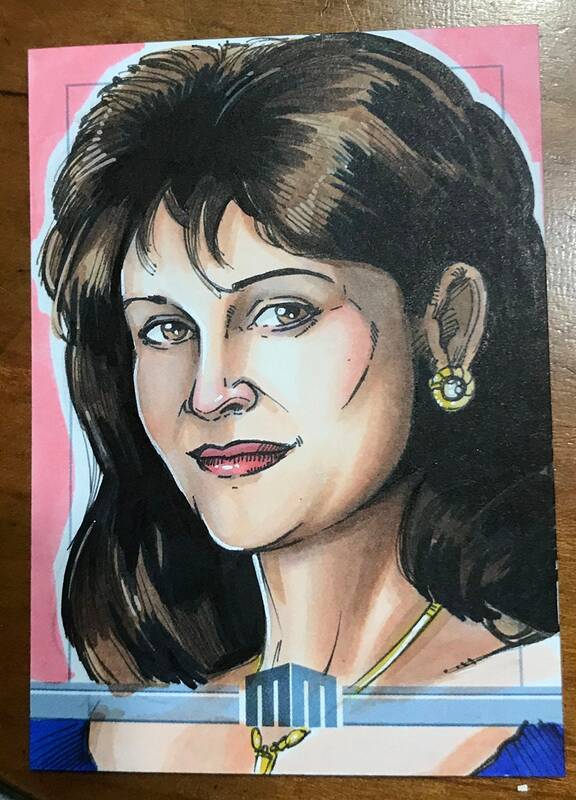 This is a sketch card, a piece of completely original, one of a kind art work created on my own personal card stock. It is labeled one of one, and signed on the back. This is an original drawing, and not a copy. The cards measure 2.5” x 3.5”, and are ink and marker on Strathmore Bristol card stock. If you have any questions, please do not hesitate to contact me as ask. Thanks so much for looking! All items are shipped after payment is received. Prompt payment ensures prompt shipping! We ship outside the United States of America...International shipping has become quite expensive however. I try to pack all Illustrations as well as I can in order to protect it. If there is an issue with a print or artwork, please contact me immediately regarding the issue. I will do my best to fix the situation.